Natural & artificial flavors+, silicon dioxide, lecithin, sucralose, beet color, FD&C red #40 and acesulfame potassium. +Adds a trivial amount of sugar. Allergen Warning: Manufactured on equipment which processes products containing milk, egg, soybeans, wheat, and tree nuts. 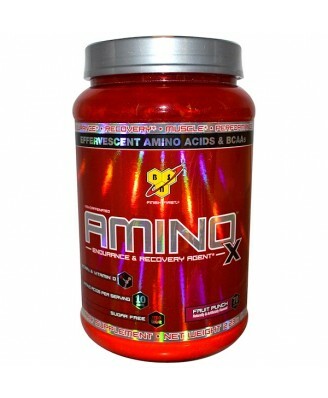 AMINOx is a stimulant free, BCAA formula designed to support endurance during your workout and aid in muscle recovery post training, so you can push your performance to the next level. Featuring a 10 gram blend of essential BCAAs and the amino acids, L-Alanine, Taurine and L-Citrulline, AMINOx will help your body recover from today's workout and prepare for tomorrow's. Offered in five refreshing flavors, AMINOx provides you with versatile, nutritional support for any type of workout regimen. As a dietary supplement, mix 1 level scoop with 6-8 oz of cold water or any beverage of your choice before, during, or after your workout. For best results consume at least 2 servings per day. 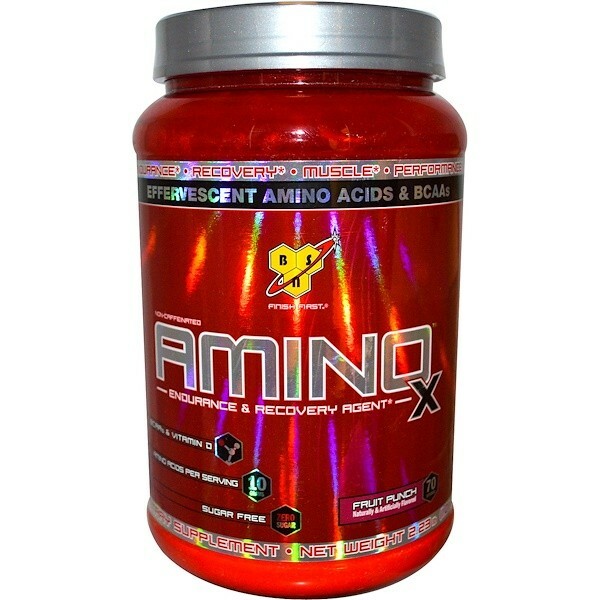 Note: To ensure maximum results, wait 20-30 minutes after taking AminoX before eating a meal or drinking a shake. Consume 120 oz of water per day and a diet that is rich in protein and carbohydrates. After 12 weeks of use, discontinue for at least 4 weeks. Not for use by those with pre-existing medical conditions or taking any medications, those under the age of 18, or women that are contemplating pregnancy, pregnant or nursing. Keep out of reach of children and pets. Store in a dry place away from direct sunlight. Contents sold by weight not volume.